Yuktix- Solution for Greenhouse - Automatic Humidity Controller. 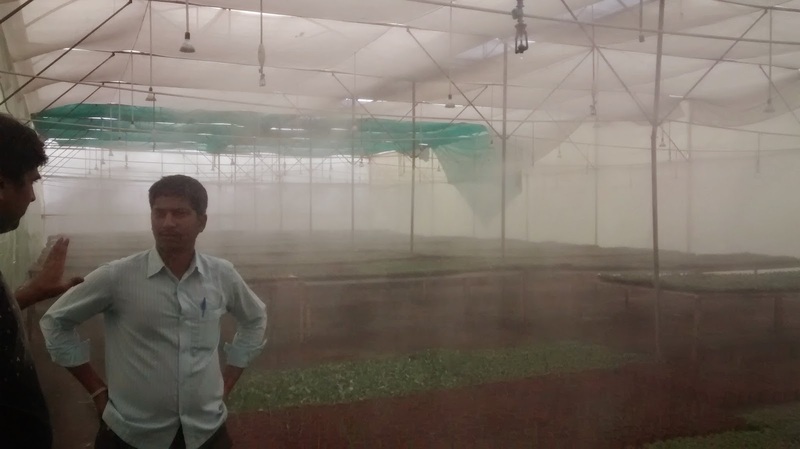 Well as in last post "Greenhouse/Poly-houses - Developing micro-climate for farmers. ", we give a small description about Yuktix solutions for greenhouse and poly-house and how they can be used to improve the production level of greenhouse and poly-house. In this post, we will like to focus on one of the product i.e. "Automatic Humidity Controller." So when we talk about AHM (Automatic Humidity Controller), first question which arise is "what is AHM?". 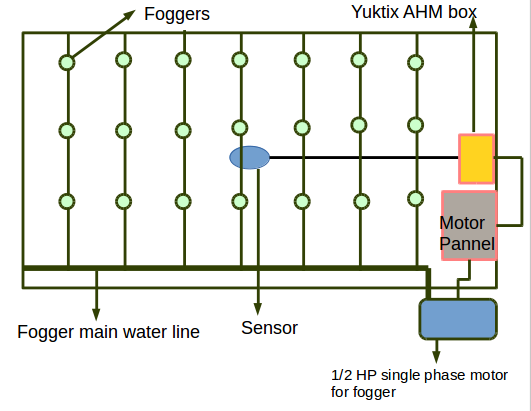 So answer is Yuktix AHM is Intelligent Automatic Humidity controller is a device that unlike a timer based system, take input from sensor installed (Temperature and Humidity sensor) and depending on the requirements as set by user, maintain humidity of greenhouse/poly-house chamber taking care of other variables. In simple words "AHM help in controlling humidity of poly-house and greenhouse chamber intelligently". 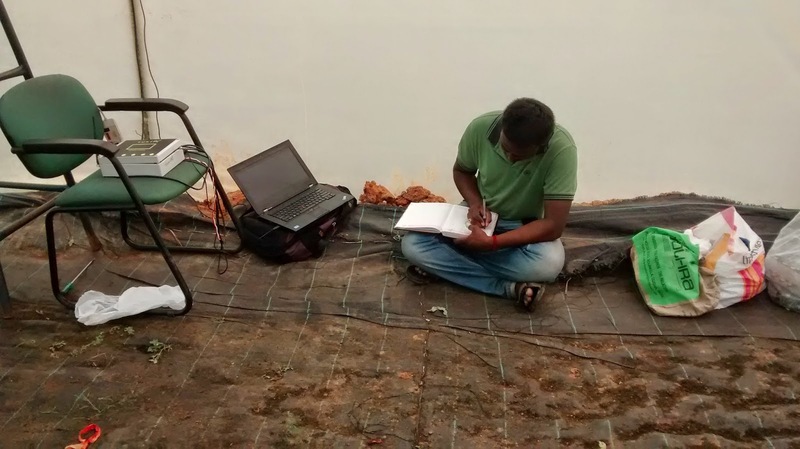 When we talk about precision agriculture, we say that we will observe, measure and then take actions removing all the guess work and that is exactly what we are required to do, when we talk about greenhouse and poly-house based farming, in which we generally grow cash-corps or flowers like capsicum, mushrooms, grapes, strawberries and flowers like rose, mums, orchids etc etc. All these vegetables, crops, fruits and flowers require some specific type of climate and that is why we grow them in Greenhouse and poly-house where we can provide them suitable climatic conditions for their proper growth. Now when we talk about providing specific climatic conditions, what they can be, they can be Humidity level, temperature, amount of light falling. Of three of them, when we are talking about AHM, we will consider humidity. Generally in maximum greenhouse/poly-houses, people rely on manual power and thus in turn have to depend on manual power to turn ON/OFF motor which in turn in controlling mistifier/sprinkler. For example, it happen like this, motor is being turned ON/OFF after every 2 hour for 5 minutes depending on their guess work , that humidity is decreasing or increasing(that depend on outside temperature and humidity.). 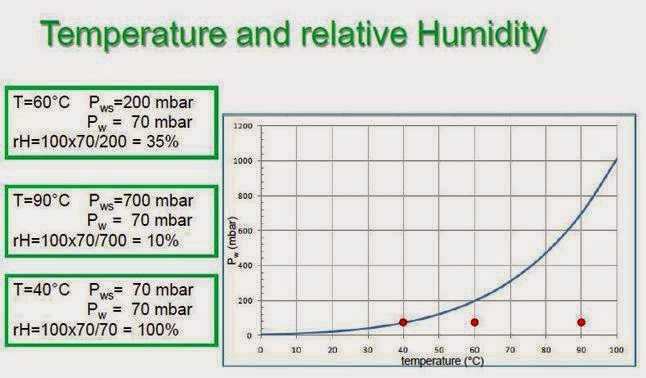 Below is the relationship between temperature and relative humidity as taken by this source. Other way of turning motor ON/OFF is a 555 based timer circuit which can turn motor ON/OFF after specific amount of time. But in both the above cases, main thing which we are neglecting is that we are totally working on guess or we are neglecting the real time humidity and temperature readings. Also some time, manual guess work is not reliable and they miss turning it ON/OFF. Taking a example of chrysanthemum flower is its early stage called as mums, they need humidity in the range of 60-85% and their growth period is 15 days. That's means if 2 days, no one work, means if fogger is not turned ON/OFF, they will have a loss of 13.3333% which worth a lot in floriculture. And we had seen these things happening. Similar is the thing when without realizing what is humidity level, fogger are turned ON/OFF only at fixed period of time. 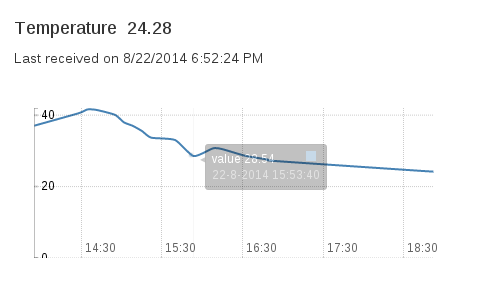 What is current humidity is 35% RH, much-much less then 60 and that too at 38 Degree C temperature. It is again going to hamper the production of mums a lot. (a) Internal temperature and Humidity. (b) Water on surface of leaves resulting into rottening. Below is the pictorial description of how Yuktix AWS work. So as in above diagram, we take real time feedback of humidity and temperature and feed it to Yuktix AHM box/ Yuktix central controller, which after running some algorithm (interested parties can contact us if want to know exactly what algo run in our controller.) and taking certain more inputs decide wether to turn motor ON/OFF and that we don't keep on doing regularly, we consider time also, so that power is not required above a certain limit and same happen with water too. Also we don't replace existing fogger or mistifier system(or otherwise we can install a bit costly fogging systems). 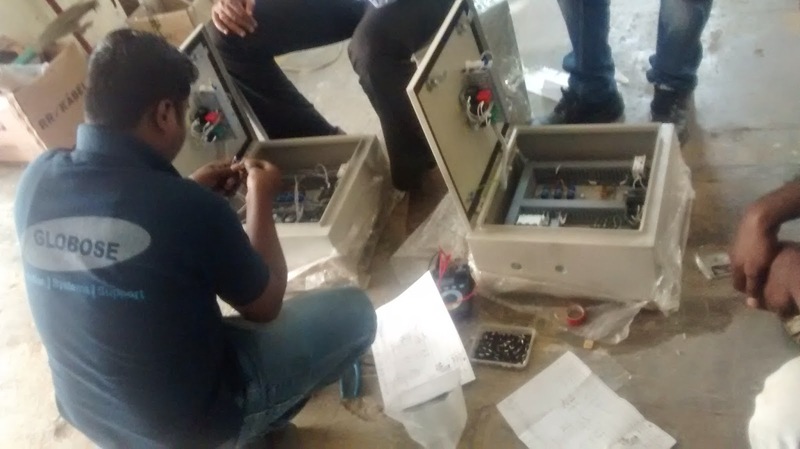 In this way even on Sunday, our system take care of the humidity level's without any manual intervention and remove the guess work with the help of certified internationally accepted and calibrated sensors. Also with this local intelligent system taking control of local climate control, you can see the real time data on your mobile phone via Android app developed by us. 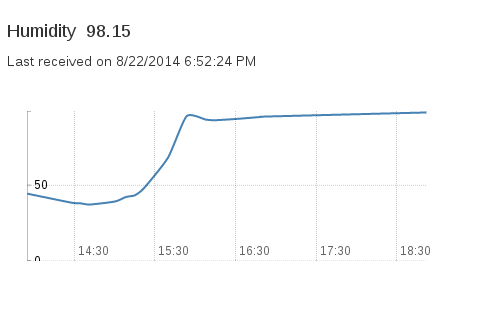 Also you can see the same data on yuktix web-app. Below are some of the screenshots of the web-app. You can clearly see the change is temperature and humidity with respect to the time. Along with web-app graphical data display, we had also done some experimentation just to verify that every thing work fine and below is what we find. Also recently we had developed some high quality AHM motor panels. Below are some of the quick snapshot. So that was all about Yuktix AHM(Automatic Humidity Controller). If you have any other questions, you can drop us a mail at shailendra@yuktix.com. We will be glad to help you.